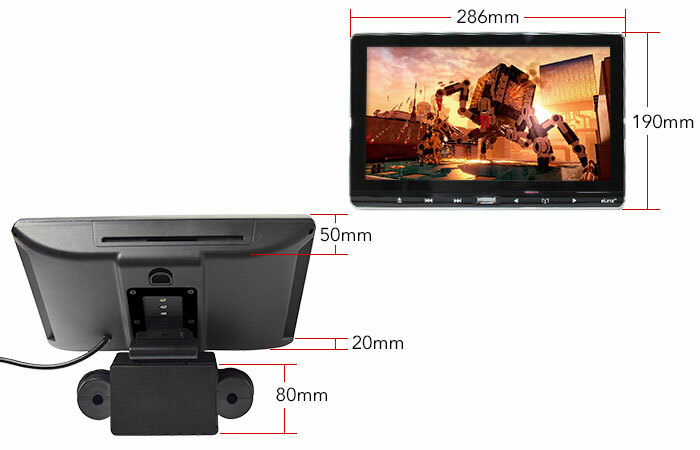 11.6 inch Slim Active Car Headrest DVD Player HD Digital Monitor 1080P HDMI Game 9"
Movies won't jump from one scene to another. 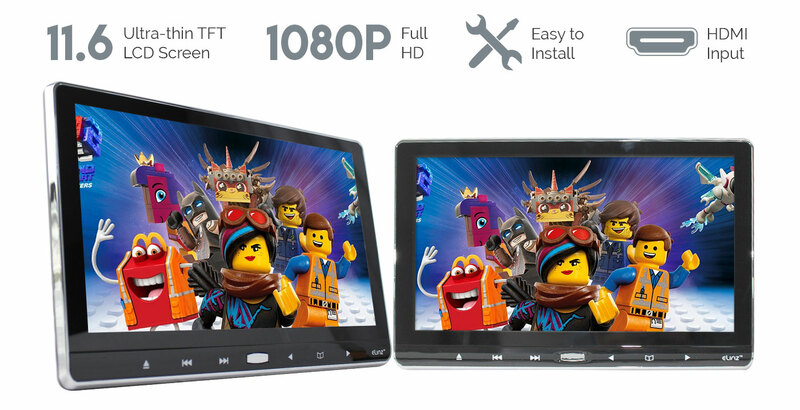 Allows you to store media on a standard memory card and play it back through this monitor. (1) Play sound through the flip down DVD's speakers. 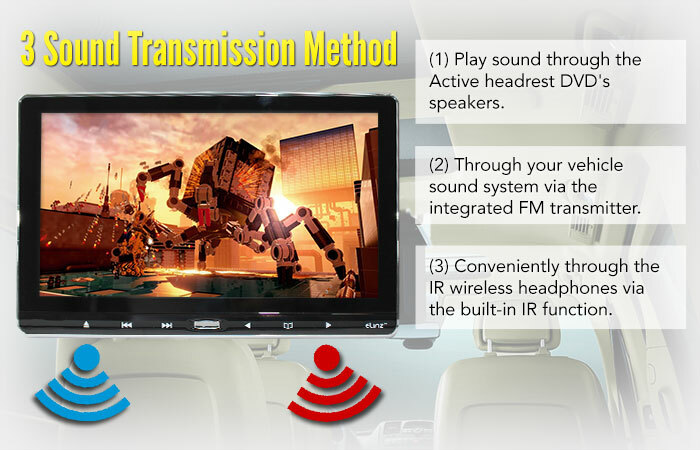 (2) Through your vehicle sound system via the integrated FM transmitter. 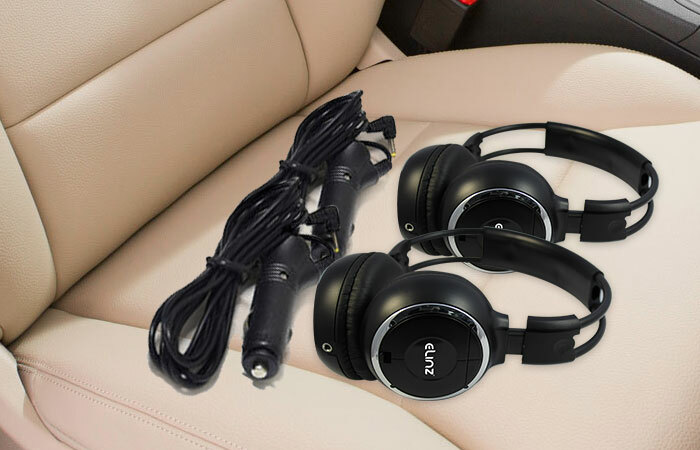 (3) Conveniently through the IR wireless headphones via the built-in IR function. 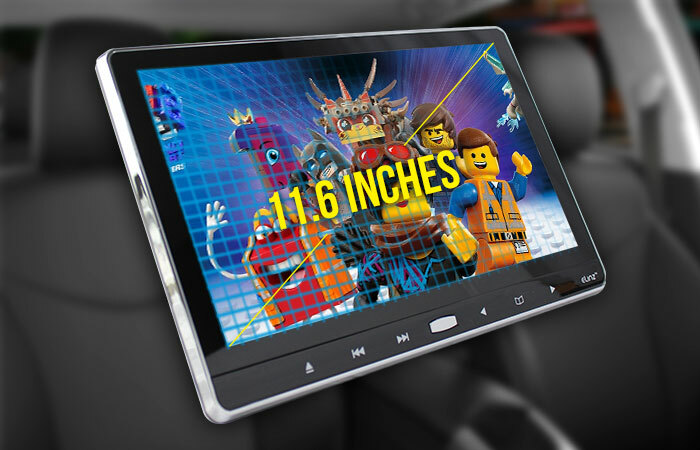 A large screen 11.6 inch Ultra-thin active headrest DVD player is just right here for you. 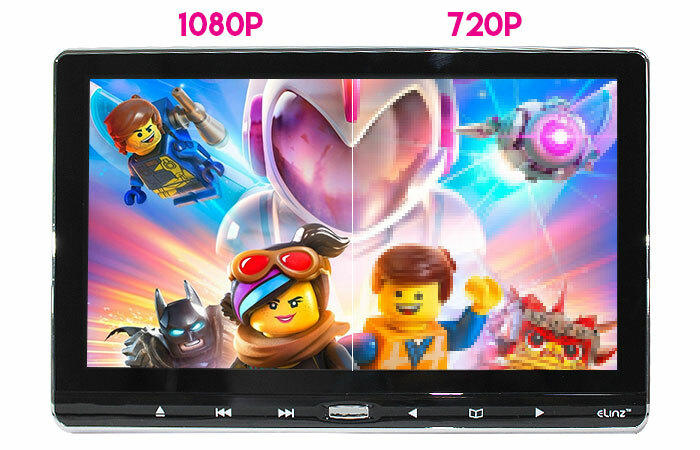 With a high definition screen resolution 1080P you can view vibrant and crystal-clear graphics plus a Sanyo laser lens that makes watching more enjoyable and flow smoothly. 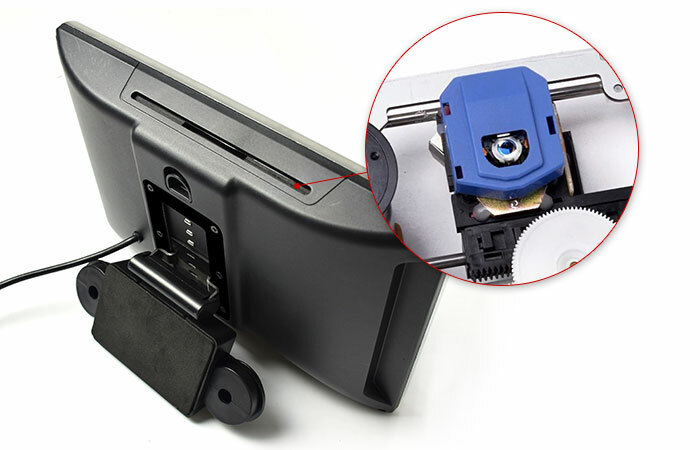 With original lenses on your DVD player you can avoid scratches on your expensive DVDs and movies won't jump from one scene to another. 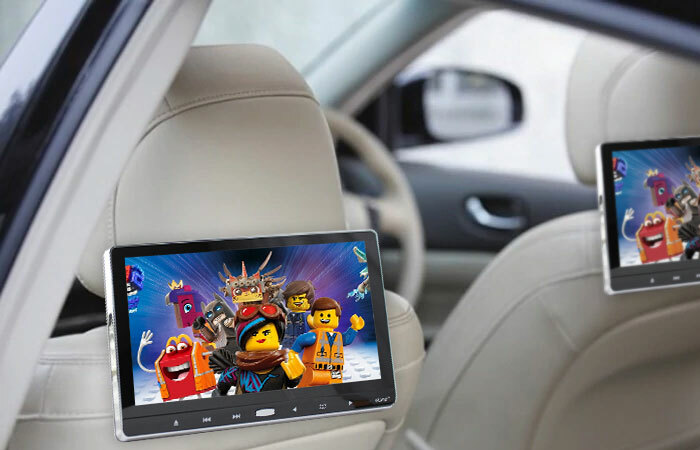 This active headrest DVD player has a slim, sleek and stylish design that will match your car interior which you can easily install. 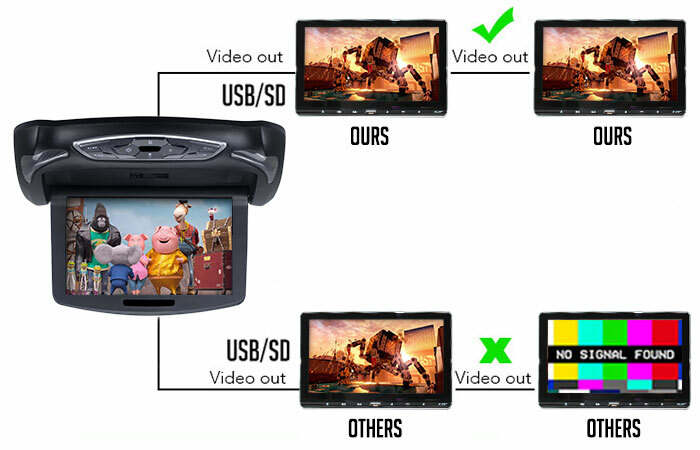 It supports USB/SD Sharing where the video play from SD/USB can be shared with another monitor/ DVD player, the whole family and even friend will enjoy. You got more with multiple audio options you can choose from the following: (1) Play sound through the flip down DVD's speakers. 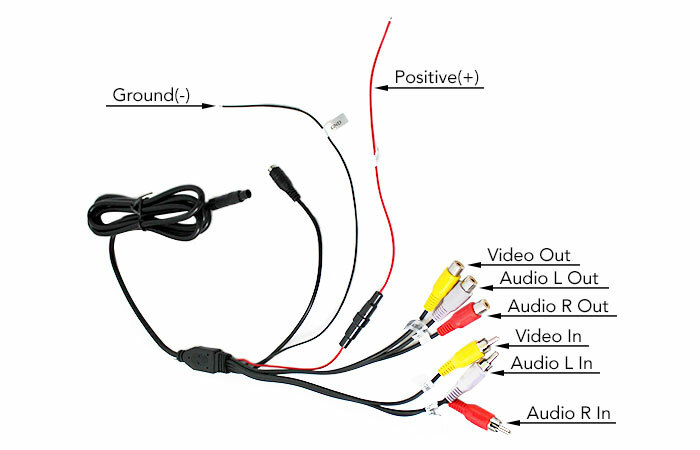 (2) Through your vehicle sound system via the integrated FM transmitter. (3) Conveniently through the IR wireless headphones via the built-in IR function. 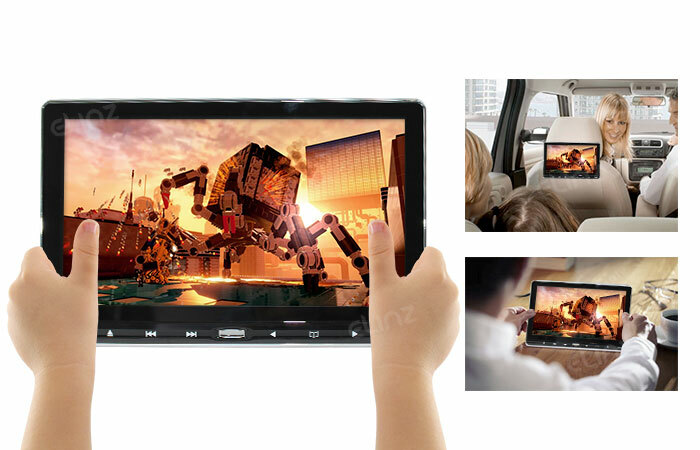 There’s a lot to enjoy with this 11.6 inch Ultra-thin Headrest DVD player so better get one for the whole gang. Provides high definition 1920*1080 for vibrant and crystal-clear graphics. 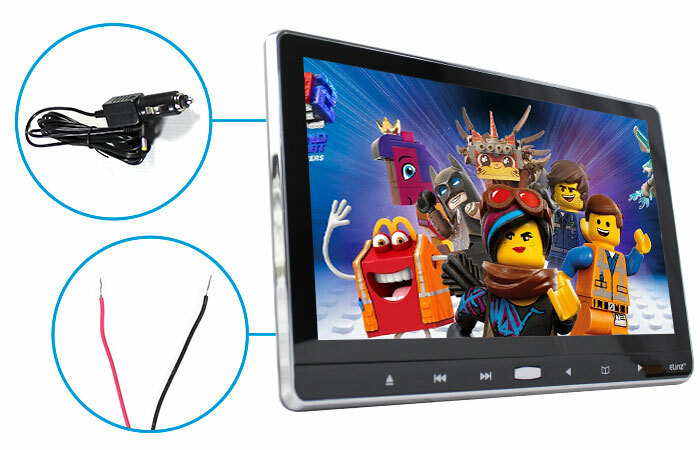 High quality Sanyo lens makes watching more enjoyable and flow smoothly. 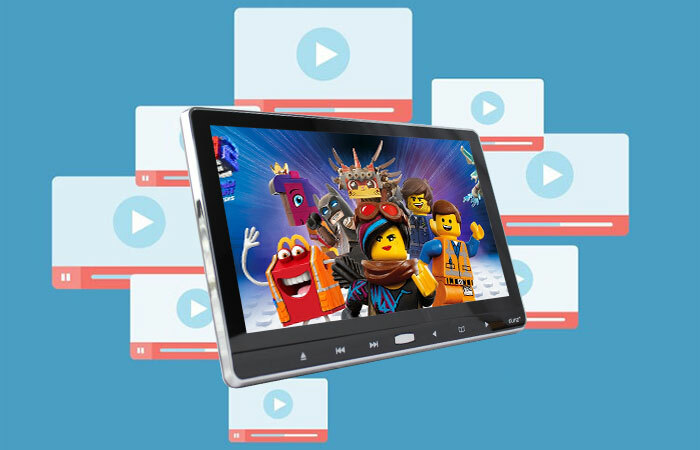 Choose from the following: (1) Play sound through the flip down DVD's speakers. 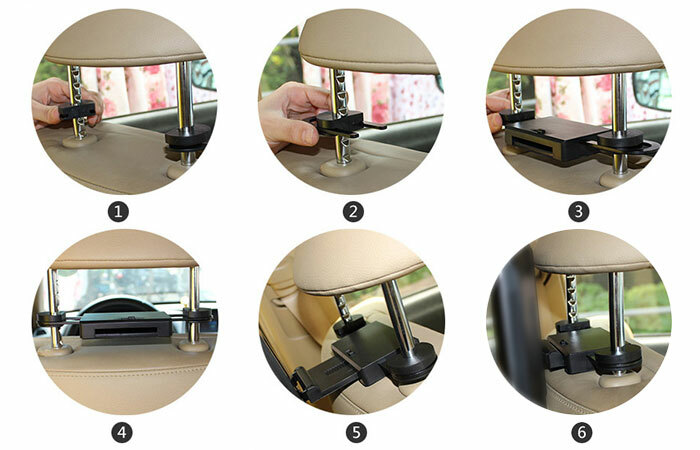 (2) Through your vehicle sound system via the integrated FM transmitter. (3) Conveniently through the IR wireless headphones via the built-in IR function. 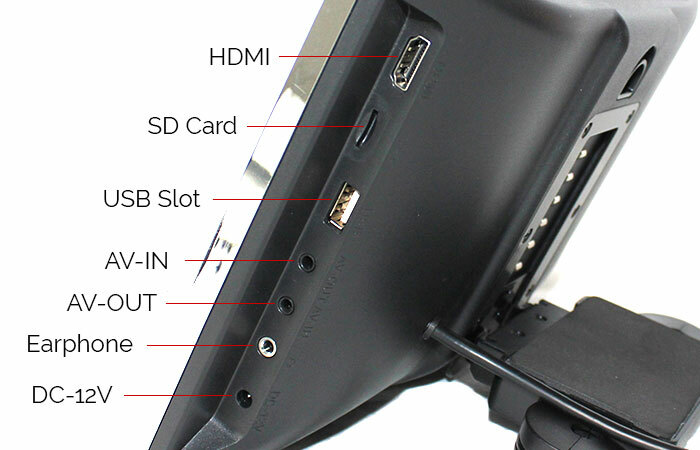 The USB/SD will allow you to store media on a standard memory card and play it back through this monitor. 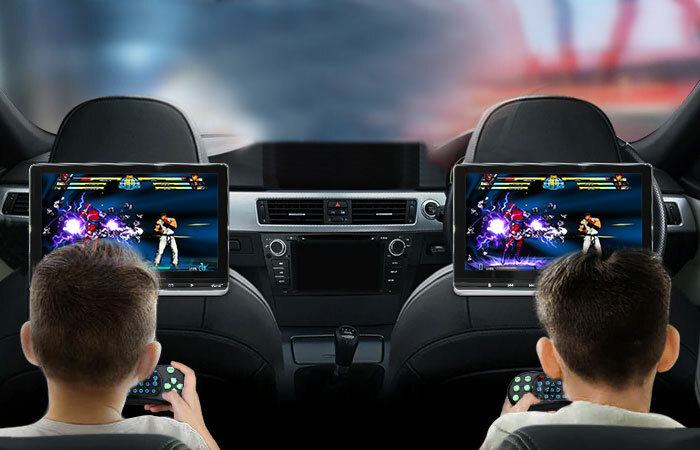 You can play back audio or video files stored on the USB/SD and can be shared across two screens to keep everyone entertained during long road trips.